Come see the stuff of the history at the Ross Pendergraft Library this Thursday, September 28th, at 7:00 P.M. as we welcome Lee Fields for a presentation entitled “Ozarks to the Argonne Forest”. The event will be held in room 300B. 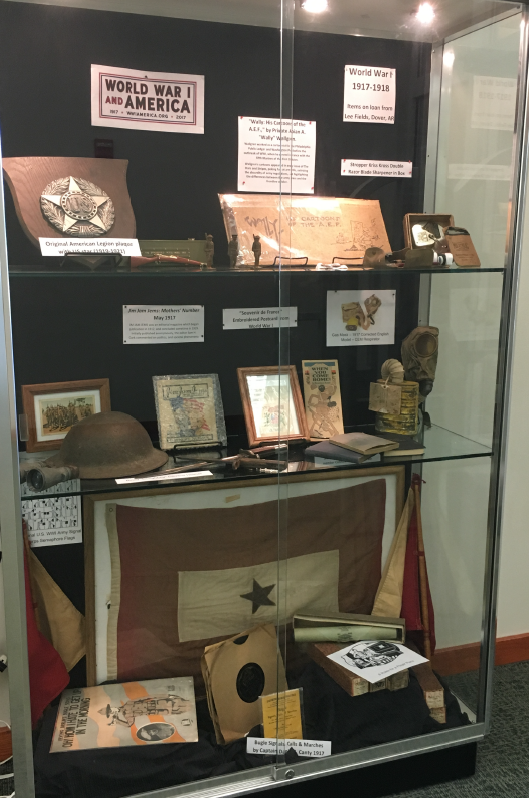 Fields, a retired master sergeant in the U.S. Army, will discuss and display his large collection of World War I memorabilia passed down from his father. His presentation will also include a larger discussion of the hometown heroes who fought World War I in the Arkansas Division. The talk is part of the ongoing World War I Centennial series at the Library, which will continue throughout the month of October and November. 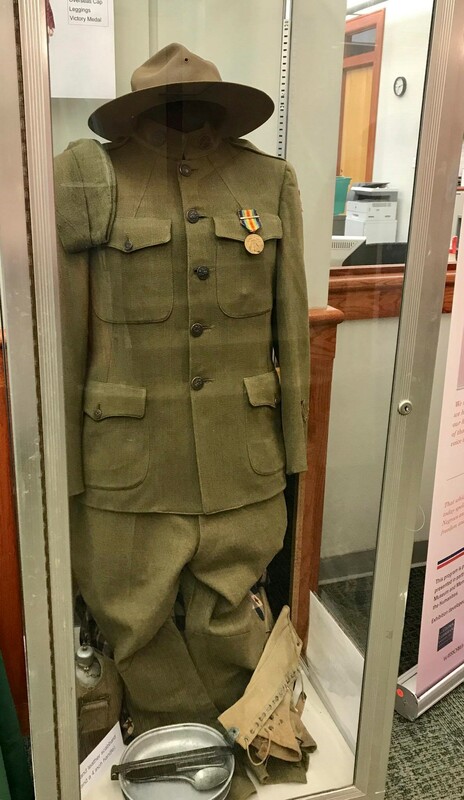 The Ross Pendergraft Library recently hosted a series of information panels on the Great War as part a traveling exhibit funded by a grant through the Library of America. Though this exhibit has moved on, another one focused on the role Arkansas played in the war will take its place on the first floor of the library from Sept. 28th – Oct. 4th. 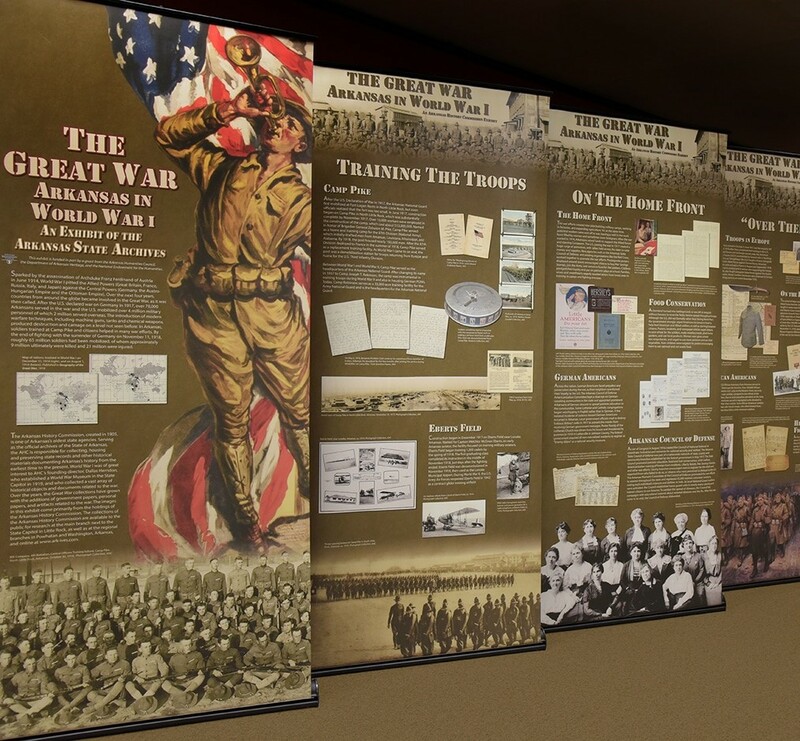 The new information panels, provided by the Arkansas State Archives, will illustrate how the war impacted the people and the economy of our own backyard. The exhibit will consist of 12 panels that showcase the state archives’ holdings, including original documents, photographs, posters, maps, and other historical objects that illustrate the lives of Arkansans over 100 years ago. This exhibit is funded in part by a grant from the Arkansas Humanities Council, the Department of Arkansas Heritage and the National Endowment for the Humanities. Interested in reading up on the role Arkansas played during World War I? 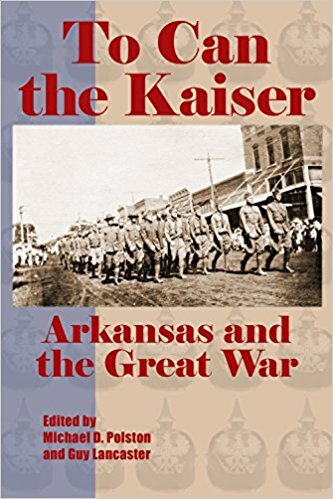 Check out To Can the Kaiser: Arkansas and the Great War. Written by Mike Polston and Guy Lancaster, this book covers the changes wrought by the global conflict in the natural state. It includes information about the 70,000 Arkansans serving as soldiers, as well as their training at Camp Pike and Eberts Field. It also explores the role of civilians and women, wartime propaganda, and the economic boon to the state provided by the demand for raw materials like cotton, mineral, and timber resources. The book is available for check-out by any student, faculty, or staff. Join us Thursday for a glimpse into history through the helmets, uniforms, bayonets, and the other things they carried as Arkansans marched off to the Great War. The presentation is free and open to the public. For more information, contact Luke Heffley at lheffley@atu.edu or follow us on Twitter and Facebook.